Laird Shields Goldsborough, the son of Winder Elwell Goldsborough and Charlotte Poole Wallace, was born in Indiana on 6th March, 1902. His father was Professor Electrical Engineering at the University of Arkansas (1893-1894) and the director of the Purdue University School of Electrical Engineering (1896-1905). Goldsborough was educated at Yale University and after leaving university he managed to find work with Time Magazine. Eventually he was appointed Foreign News editor. Isaiah Wilner, the author of The Man Time Forgot (2006), has argued: "Short and over-weight with long dark hair that flowed over the back of his collar, Goldsborough was partly lame due to a childhood hip ailment. He limped along with the help of a cane, sweating profusely.... Goldsborough wrote like a silkworm, spinning out a story from start to finish almost without stopping. When he came up with a particularly delicious phrase, he would pause to savor it, purring like a cat, then read it aloud and crackle." Goldsborough held extreme right-wing opinions but this was kept under control by his editor, Briton Hadden, who instructed his journalists to tell both sides of an event. The two men disagreed about the merits of Benito Mussolini. Hadden was a strong supporter of democracy and severely attacked the rule of Mussolini, who he described as a "tin-pot dictator". Goldsborough on the other hand praised Mussolini as a bold leader. At the beginning of 1927, Hadden agreed to switch jobs with Henry Luce. Goldsborough found his new editor as much more sympathetic to his right-wing views. Isaiah Wilner has pointed out: "No sooner had Luce taken the editor's seat than he began to twist and distort the news. Time's emerging bias first grew evident in Foreign News. Laird Goldsborough quickly impressed Luce with his writing ability and knowledge of foreign events." George Seldes has argued that Luce "permitted an outright pro-fascist, Laird Goldsborough, to slant and pervert the news every week." George Teeple Eggleston, who worked for the company at the time, has claimed that it was Goldsborough who persuaded Henry Luce to support General Francisco Franco during the Spanish Civil War. According to Eggleston: "Time's conservative foreign news editor, Laird Goldsborough, promptly slanted all news stories in his department in favor of General Franco's rebel insurgents." This approach was criticised by Archibald MacLeish, who worked on Fortune, another magazine owned by Luce, who "promptly bombarded Luce memos denouncing Franco's coalition of landowners, the Church, and the army". Goldsborough responded by arguing: "On the side of Franco are men of property, men of God, and men of the sword. What positions do you suppose these sorts of men occupy in the minds of 700,000 readers of Time? ... They resent communists, anarchists, and political gangsters - those so-called Spanish Republicans." Eggleston points out that Luce's wife, Clare Boothe Luce was on the side of the Republicans during the war: "Clare was violently anti-Franco and promptly contributed a thousand dollars to the pro-Communist Abraham Lincoln Brigade, which was gathering volunteers in New York City to fight against Franco in Spain." In 1940 Goldsborough's assistant, Whittaker Chambers, replaced him as foreign affairs editor. 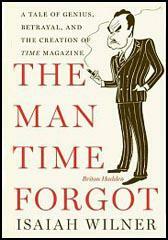 Goldsborough became special assistant to the chairman of the board of of Time Magazine. During the Second World War he was involved in counter-espionage with the Office of Strategic Services (OSS). Laird Goldsborough died on 14th February 1950, when he jumped or was pushed from the Time-Life office building wearing a bowler hat and carrying a gold-headed walking stick. The New York Times reported that his wife, Florence Maconaughy Goldsborough, said that "he had no reason whatever for taking his own life, had left his home only twenty minutes before he was killed to pick up some papers in the office, and was to have returned for dinner." She also insisted that his death had nothing to do with his relationship with Whittaker Chambers who was involved in the Alger Hiss perjury case at the time. The police appeared convinced that Goldsborough had committed suicide: "The door of Mr. Goldsborough's office was locked on the inside when they went to investigate the case. The building superintendent, Len Herrick, was called and was unable to open it without smashing the glass panel." A still further vexatious interoffice situation developed when the Spanish Civil War exploded in full fury in the fall of 1936. Time's conservative foreign news editor, Laird Goldsborough, promptly slanted all news stories in his department in favor of General Franco's rebel insurgents. Liberal New Dealer Archibald MacLeish, on Fortune, promptly bombarded Luce memos denouncing Franco's coalition of landowners, the Church, and the army, as "tools of fascism." In defining his position to Luce at the time, Goldsborough wrote: "On the side of Franco are men of property, men of God, and men of the sword. What positions do you suppose these sorts of men occupy in the minds of 700,000 readers of Time? I am convinced that our readers do not recoil at the sight of a US Marine, a clergyman, or a prosperous householder. They resent communists, anarchists, and political gangsters — those so-called Spanish Republicans." Luce tended to allow Goldsborough to continue with a free rein. But the early issues of Life reflect that the editor in chief had no firm convictions on international affairs in the mid-1930's. The wife of the editor in chief had, however, some very firm opinions on international matters. Clare was violently anti-Franco and promptly contributed a thousand dollars to the pro-Communist Abraham Lincoln Brigade, which was gathering volunteers in New York City to fight against Franco in Spain. According to Clare's friend and biographer, Stephen Shadegg, this 1936 phase of her life was but a brief interlude. The nation's biggest news weekly is celebrating itself. Time magazine has put out a special "75th Anniversary Issue," paying tribute to the vision of founder Henry Luce. Readers get an inspiring - and expurgated - story. Time began as a pathbreaking newsmagazine in March 1923, the latest edition recalls, and Luce was "its undisputed leader for nearly 40 years." We're told that he wanted Time to be "a vehicle of moral and political instruction, a point of connection between the world of elite ideas and opinion and middle-class people in the `true' America hungry for knowledge." Luce died in 1967, and the magazine is now the flagship of the largest media conglomerate ever, Time Warner. But the firm still doffs its corporate hat to the Luce mythology. After more than 60 pages devoted to self-homage, Time closes its March 9 issue with an essay by managing editor Walter Isaacson that clings to the Luce mantle. While acknowledging that Luce let his "global agendas" unduly influence Time's content, Isaacson assures us that the rough edges have been smoothed: "Although our stories often have a strong point of view, we try to make sure they are informed by open-minded reporting rather than partisan biases." Yet the magazine lays claim to Luce's core values: "Above all, we continue to share his belief that journalism can be, at its best, a noble endeavor." But Time's 75th anniversary issue is a telling instance of how lofty rhetoric can easily serve as a cover story. The hero of the retrospective, Henry Luce, gets plenty of adulation and some hazy references to flaws. But it's sanitized history, omitting less pleasant facts. They aren't hard to find. As tragic events unfolded in Europe, Luce ran his thriving magazine empire with an odious tilt. "In 1934 he devoted an entire issue of Fortune to glorifying Mussolini and Fascism," wrote independent journalist George Seldes. And in Time, Luce "permitted an outright pro- fascist, Laird Goldsborough, to slant and pervert the news every week." One of many brilliant books by Seldes, "Witness to a Century," recounts a revealing incident in March 1942: "Thurman Arnold, the assistant attorney general, appearing before a Senate committee investigating war profiteering, testified that Ethyl Gasoline Corp., General Motors, Standard Oil and I.G. Farben of Germany had an agreement by which the American corporations supplied Hitler with the secret of making tetra-ethyl lead for gasoline, without which Hitler could not have operated his air force or gone to war, and also supplied him with the secrets of making synthetic rubber." The head of the committee, Sen. Harry Truman, responded by declaring "This is treason." But the big press glossed over the matter. 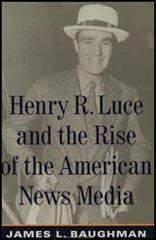 As Seldes noted: "Henry Luce's Time, for example, ridiculed Truman on page 16 one week and published a $5,000 Standard Oil advertisement on page 89." After formation of the Central Intelligence Agency in 1947, Luce - a close friend of U.S. spymaster Allen Dulles - privately urged his correspondents to cooperate with the agency. Meanwhile, Luce debriefed with the CIA about his own travels overseas. Along with some other powerful media executives, Luce joined Dulles on the board of directors of the National Committee for a Free Europe. That private front group funneled money to neo-Nazi emigre organizations. Fifty-seven years ago, Luce proclaimed that the world was in the midst of "The American Century." His pronouncement is still echoing. Last Tuesday night, when Time spent $3 million to throw a celebrity-filled anniversary party at Radio City Music Hall in New York, one of the featured guests was Bill Clinton. "Tonight, Time magazine has paid tribute to the time it not only observed but helped to shape," the president said, "the 100 stunning years that your founder Henry Luce so unforgettably called the American Century." Time Warner bigwigs like the sound of such talk. And they see no reason for the United States to relinquish the next hundred years. "To the extent that America remains an avatar of freedom," Time's managing editor contends, "the Global Century about to dawn will be, in Luce's terminology, another American Century." No thanks. One was more than enough. Mr. Goldsborough was a former foreign affairs editor of Time magazine, and Mrs. Goldsborough said that he had worked there with Whittaker Chambers, leading figure in the Alger Hiss perjury case. Mr. Chambers, she said, went to work as her husband's assistant on Time in 1939, about a year before Mr. Goldsborough left the post, and Mr. Chambers took over the foreign affairs editorship from him. She insisted, however, that her husband had not been connected in any way with that case; that he was never questioned, nor had he been notified that he would be. She said he had no reason whatever for taking his own life, had left his home only twenty minutes before he was killed to pick up some papers in the office, and was to have returned for dinner. Mr. Goldsborough was fully dressed, including his overcoat and hat, and apparently also carried a cane as he fell, for a cane of expensive type, bearing the initials L.S.G. was found near the body.